THE CARS ARE IN!!! | Errols Weekly Music Update. As a kid growing up in the Sunset Park section of Brooklyn NY in the late 1970’s I hung around a bunch of folks who were into two things- sports and music. My life revolved around baseball, football and rock and roll. (Still does) Many were older and their influence made a lasting impression on me. I can remember Led Zeppelin and Black Sabbath blasting from the boom boxes in the local school yard and I was always blown away by the passion that they had for their favorite bands. I wanted to be just like them and wanted to have a band that I could call my own. In walked Benjamin Orr, Ric Ocasek, Elliot Easton, Greg Hawkes and David Robinson to my life in the summer of 1978 and my wish was granted. From that moment on, The Cars became part of my life just like bread and water—I needed all three to survive. I can remember the first time I heard the opening licks to “Just What I Needed”- “I don’t mind you coming here and wasting all my time”—it was like a lightning bolt for me—I had to find out who made this sound which was different but still had that rock and roll influence. This song has everything—smashing drums where everyone I know does the “air-drumming” part where Robinson does the “falling down the stairs, roll of the drum sticks” after Orr completes that infamous verse that I just cited. Hawkes keyboard vibe always added the spice, sometimes weird but always tasty. Easton’s guitar playing gave it that gusto that made you stand up and pay attention while always thirsting for more. And for a while in the beginning I didn’t know that there were two lead singers in the band, Orr and Ocasek,-who seemed like brothers from another mother- their rhythm section and passion for their craft- singing and writing lyrics changed my life forever. So I walk back into the school yard and profess that I have a band that elicits an internal passion that burns deep similar to showing off a paper test grade of an “A” that has a circle around it from your teacher to prove that you fit in. “Oh yeah? Who is it?” I respond- “The Cars”—and just like all of us who have been in a classroom where your classmates bristle and laugh it off like you are from another planet- they poured cold water all over my enthusiasm. But just like everything else, I brushed it off and went back to digesting their music into my blood stream every single day to the point if listening to albums could add weight I would have been the size of the earth by 1979. I heard comments like how could you like that weird song-“I’m In Touch With Your World- that’s not good”—you’re right, IT’S GREAT. They were “offbeat”- not as “weird” as maybe The B-52’s or The Talking Heads but just enough to separate themselves from the rest of the block. I grew up on ‘blocks’ and each one had their own favorite. I was turning my block into The Cars and would scream from the rooftop any chance that I could, that this band from Boston with their debut album was a force to reckon with. Take ‘Don’t Cha Stop” – which snaps you right into attention and makes you dance all around the room- as I am now so elated that The Cars are in the Rock and Roll Hall of Fame—I told you so!! Make room for me and my band!!! Ahh but I jumped too far ahead. Let’s go back to the first album and talk about “You’re All I’ve Got Tonight”—my friends, just like Bill Mazeroski making the Baseball Hall of Fame on one homerun – this one song alone writes their ticket into the Hall of Fame. I believe this could be the best song that Ocasek ever wrote, sang, crafted- however you want put it- with help from his brothers as well. This song has everything- the appetizer, the main course and the sweet desert of Easton’s guitar dripping just like when you put chocolate sauce on your ice cream and the fudge rolls all in and down the spoon on top of your monstrous desert but you don’t care because you are going to enjoy it—that’s what this song does for me. Then right, after arguably the best song that Orr has ever sung (I know – what about “Drive?” but hear me out) Bye Bye Love—if there ever a category for the best ‘one-two” songs on side two – these are it!! Does it get any better- “It’s an orangy sky…always with some other guy”—Hawkes solo lifts me off the ground into another stratosphere. From the first time I heard this song I always pronounce the word- “Ill- luss-tree-us” just like Ben sings it to this day—too much for me to take, can’t get enough. Easton’s ending solo is off the hook and really these two songs have to be considered the best rock and roll songs ever crafted. But it doesn’t stop there-we are now in a time warp as the outer space type –“Moving In Stereo”- comes into your headphones like nothing you have ever heard before. (If I am not mistaken I believe this was their first song that was featured in a movie- “Fast Times At Ridgemore High”). When I hear this song I can picture myself on a rocket ship being an astronaut and flipping upside down in slow motion while my body has no gravity. Orr’s vocal prowess is stupendous and how many times have you hummed the organ part by Hawkes—name another song where you hum an organ part? Then it’s on to what maybe my most favorite song in my life on this earth—“She shadows me in the mirror”- wow, does it get any better than this? “All Mixed Up” is maybe a “hidden classic” for the general public but the Cars’ brethren know this to be the “ultimate”- that bottle of wine or whatever your preference is, when you break it for very special occasions or a holiday meal with all of your favorite people that you break bread with—this song still gives me goosebumps when I listen today—it has-and will always- survive the test of time. 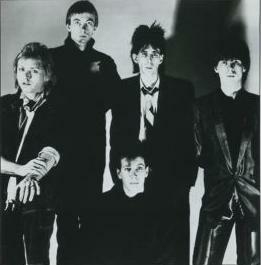 1979—The Cars second album “Candy-O” comes out about a year later and again in the summertime as we are all playing ball in the school yard and I am uneasy because of the term- “sophomore slump”—how would I be able to stand toe-to-toe with the ‘Led Zeppelin II’s of the world?” But as soon as I put on side one I knew I could run right back to them with my chin up- no sophomore slump here—this album has songs that I cherished from the moment I heard them and I will take them with me whenever I leave this earth. “Since I Held You” brings tears to my eyes because of how good it is- I know that sounds weird but this song takes me back to my bedroom lying on a hardwood floor with a pillow around my head soaking in the flavor with the two big speakers that were right next to me as I tried to take this in intravenously like when a nurse gives a needle to put the bag of IV into your blood stream. “It’s All I Can Do” will always be a fond remembrance for me because the lyrics hit home for me as I had tried to get the attention of someone who didn’t have the same thoughts as I did. “I cancelled my flight from going nowhere”- huh, wow- how did they know? Elliot’s guitar solo is short but so exhilarating that I wonder why he is often left out of the conversation of “best guitarists’?” Hawkes- “Shoo Be Doo” has my vote for the best keyboard/organ song ever created—how psychedelic, how cool is this song and Ocasek’s vocals are stupendous- “Don’t cha tell me what to do.” The first side ends with the ever energetic-“Candy-O”—CRANK IT UP—there is no other way to listen to this song but LOUD—who says the Cars couldn’t rock it out?—listen to this and don’t even… just soak it all in. Side two starts off with what I consider my favorite Cars song of all-time- “Night Spots”- “I see you crossin’ the fine line”—how cool is Ocasek? He has the look, the feel, the voice and the creative genius that puts him in the same company as the character-“Sheldon” from “The Big Bang Theory.” Hawkes and Easton flat out kill this song with their mastery (and of course the train doesn’t run without Robinson banging away like he can). The entire second side is pure genius that ends with the stadium anthem-“Dangerous Type”- a song that I always pointed out to my school yard buddies was played on WNEW-FM just as much as any other classic rock song on their set list. For some reason, their third album-“Panorama’- is often cited by critics as not good. What? I say if you are a true Cars fan, this is something you treasure just as much as the first two albums. This is arguably my most favorite album by the boys from Boston. I say, there are no “fillers” on this album at all- I listen from top to bottom (now on my I-pod) or side one and side two as I did back in my bedroom. “Touch and Go” is not a classic tune? C’mon let’s get real—this is the Cars at its purest, with another smoking guitar solo by Easton and the bass lines by Orr just bounce in your ears. That “stop and go” motion makes you gyrate your body in angles you never thought you could do and the flow of the chorus is so natural. “Don’t tell Me No” grabs you by the throat and makes you pay attention, Ben is at his best with his demands and you will listen! For some reason “Misfit Kid” always stands out to me, the groove with the drumming is so addictive that you can’t help but sing along and the best part is the two hand claps that appear twice along with the way Ocasek says “cru-uh-uh-um-bulled.” Or how about the cool grooving “You Wear Those Eyes?” C’mon who makes songs like these? Timeless tracks with stupendous vocals and background vocals and the musicianship fits like a glove with all the various instruments. “You do the pogo without the bounce..” Love it!!! When I was in Brooklyn College there was a “entertainment” room where you could sign up for classic album side for each half hour intervals while sitting there with other folks that you didn’t know and hopefully entice them to feel what you have recommended. Well I will never forget when I recommended side one of “Shake It Up” which came out in 1981 and the person running the room started to dance around the room when he heard the opening licks to “Since You’re Gone.” There was no worries after seeing him dance to the first song, I was at ease and just sat back with this big smile that there was a band that I loved more than anything was bringing joy to others!! Another classic for me is “I’m Not the One”- it is amazing the quality of that song when you have your headphones on, it sounds like Ric is standing right next to you. Side one ends with the kicking “Cruiser” by Mr. Orr which made that same guy get back up and dance around the room again with the complementary handclaps. As the 1980’s continued and a thing called Music Television was introduced to our world and talk about putting a band that I loved on the map. The Cars were on MTV all the time—remember “Magic” from their fifth album- “Heartbeat City?”—I would say this could have been one of their most memorable songs as well as one of MTV best known videos. And how can one talk about “Heartbeat City” without mentioning “Drive”- arguably their most well-known song across generations. What was not to like? Even grandparents sang along- “You can’t go on…thinking…nothing’s wrong.. who’s gonna drive you home tonight”- listening to this song is tough and brings a tear to the eye because Ben Orr is not here to celebrate with his band members for something that is so well deserved. As the 1980’s ended and we all kind of went our separate ways, classic rock radio had so many songs to choose from, that I know for a fact that every single day across this world, you can guarantee that you will hear a song by The Cars. Then just six years ago out of the blue, the surviving members come back with another classic- “Move Like This”—right out of the gate “Blue Tip” grabs you pulls you right up to their faces as they are gonna “hook” you in with their infamous grooves that makes you dance along while trying to imitate Ocasek’s singing style- forget it, you can’t do it- there’s only one Ric Ocasek. Then on May 25, 2011 a dream come true for me came to fruition as I was able to see my heroes at the Roseland Ballroom in NYC nearly 30 years after I had first seen them. I was with my friends who also loved The Cars and it was a night that I will treasure for the rest of my life. “Keep On Knocking” and that’s what we did all night long.